There must be something in the east coast air. 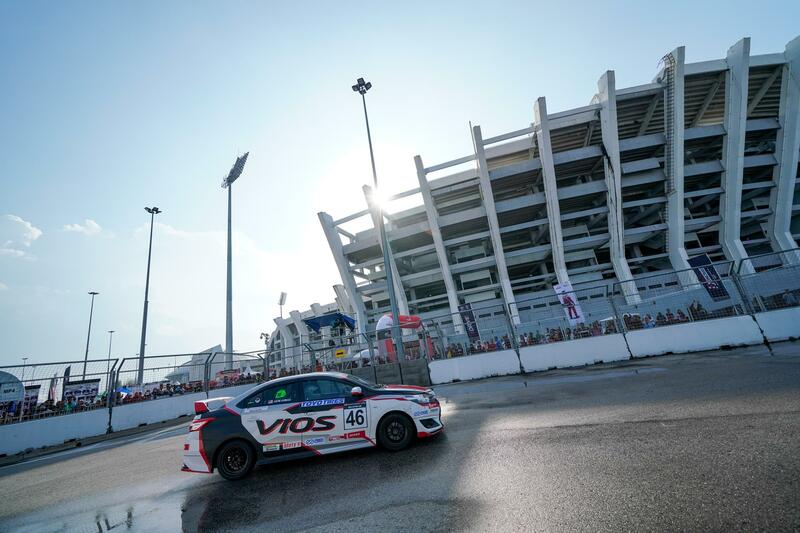 If we had to put money on it, the bet would be a passion for destruction because Race 2 of the Vios Challenge second season opener was filled with the most carnage we’ve seen in the entire series thus far and the crowd were rambunctious. 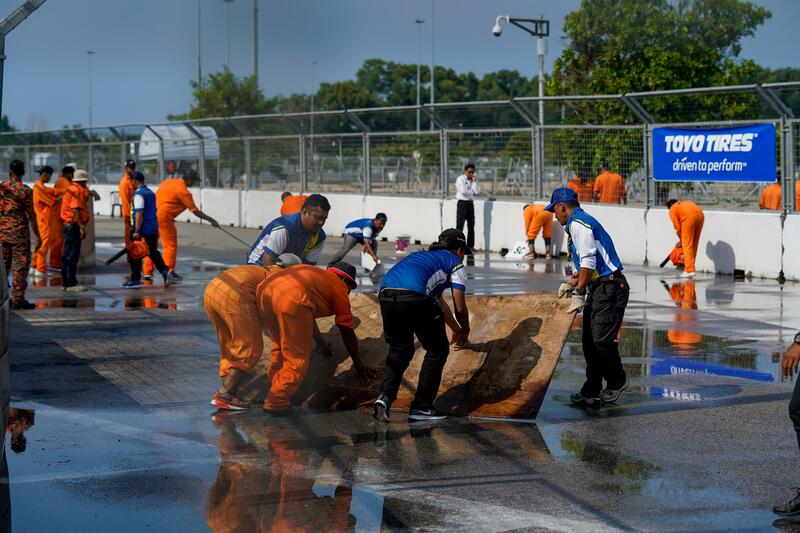 Day 2’s action got underway with the Super Sporting boys and the destruction went big before the first corner from the start, causing a couple of drivers to go home. 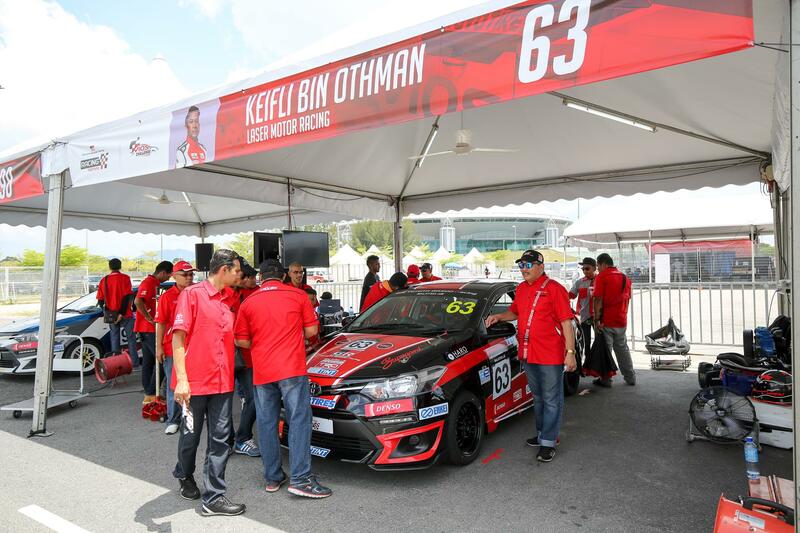 Keifli Othman and Kenny Lee were jostling for position as soon as the lights went green and made contact that sent Kenny hard into the concrete barrier and both drivers into retirement. Kenny’s car suffered serious chassis damage from the impact and might take a bit of effort to get it back in action for the next round. 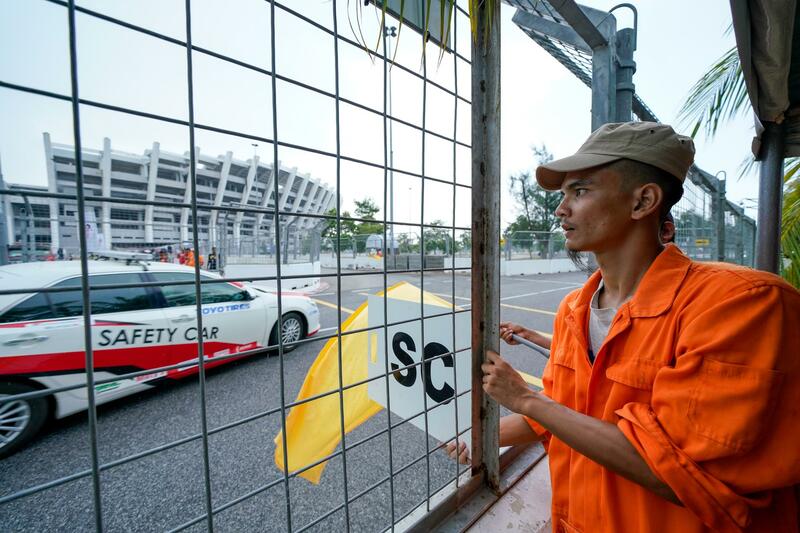 On track, the action continued with the Safety Car reigning in the first three laps as officials cleared debris and the damaged cars. 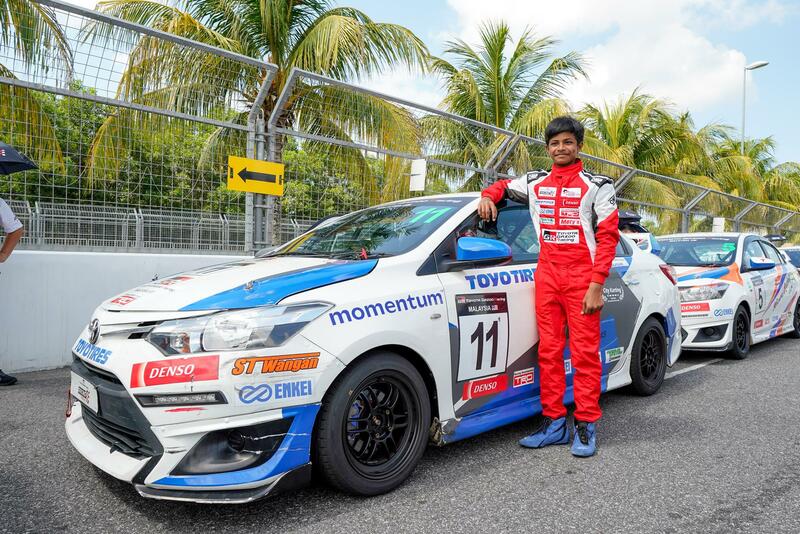 Up front, M7 Racing’s Syafiq Ali; the pole sitter, was dwelling with Mark Darwin of Dream Chaser and Race 1’s winner William Ho who took advantage of the incident to swiftly climb up the standings. 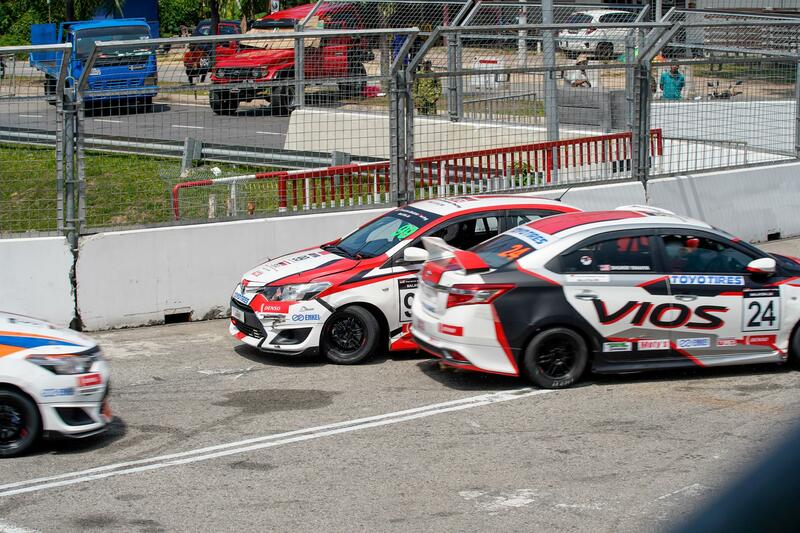 With less than a second separating the top three, William managed to squeeze his way past Mark into second before setting his sights on Syafiq. 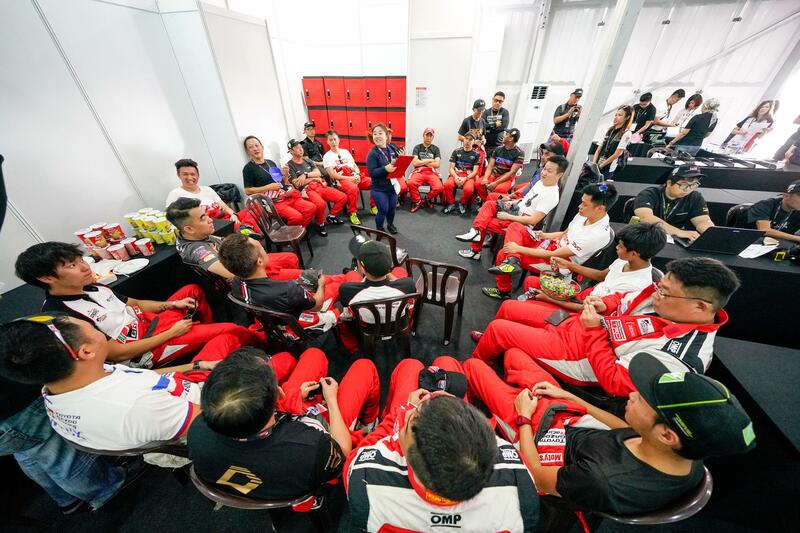 The following 10 laps of William breathing down Syafiq’s neck was racing at its finest before the latter gradually his lead grew to between 1.5 and 1.8 seconds. 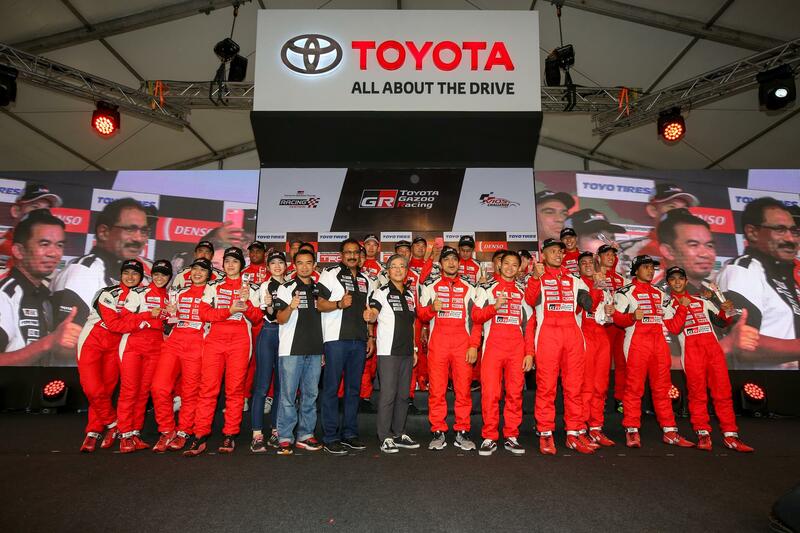 Syafiq maintained his slight advantage to the chequered flag for his first win in the series. 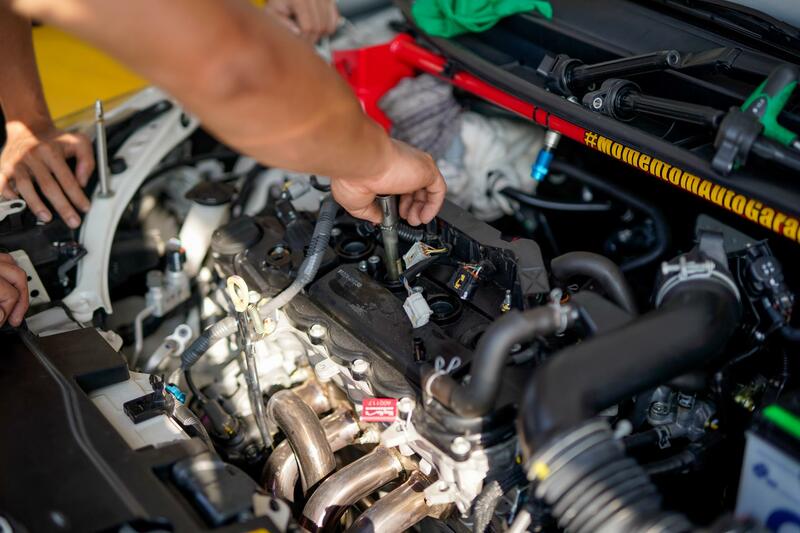 However, with a win in Race 1 and a second place in Race 2, Revo Technik’s William was the real winner, rounding up the weekend with a huge lead in the standings. 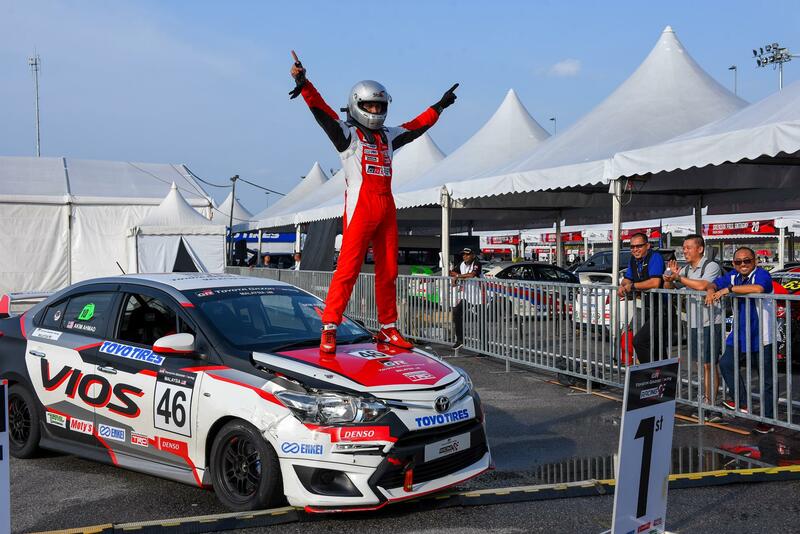 Mark filled the podium in third with Boy Wong in fourth and last year’s Sporting Class champion Brendan Paul Anthony coming in fifth. 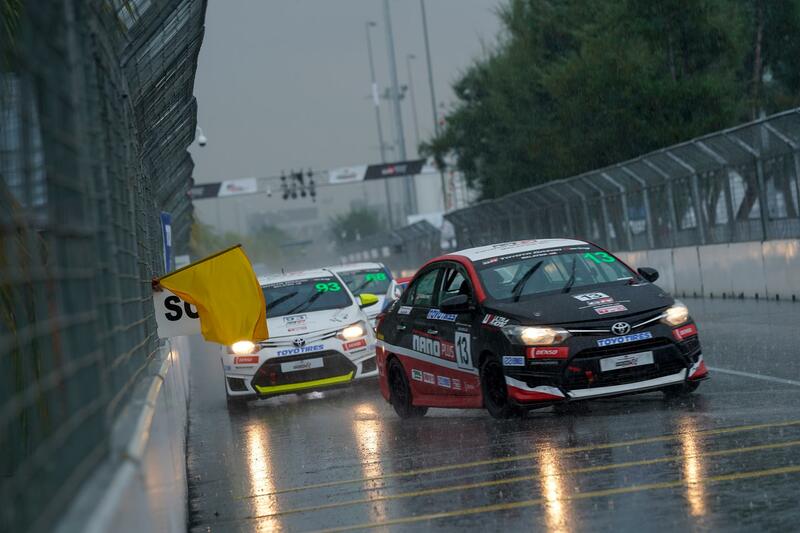 In stark contrast to the action in the earlier race, things took a more subdued turn in second race of the Sporting Class although the race concluded in dramatic fashion as the safety car led them over the finish line with torrential rain flooding the track 15 laps into the 22-lap race. 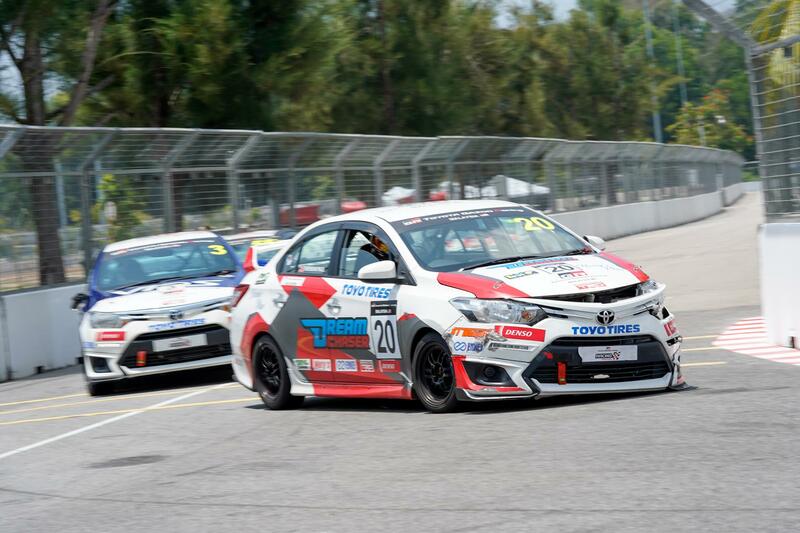 Nanoplus’s Patrick Tam led the race from start to finish with Dannies Ng of Revo Technik and Vincent Ng completing the podium. 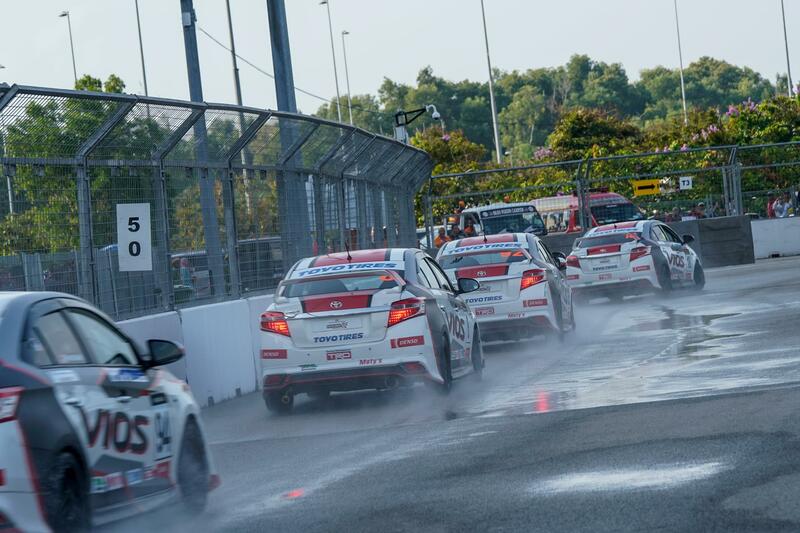 With the reverse grid affecting the top eight drivers from the first race, Race 1 winner Shawn Lee displayed some impressive driving to move up from eight to fifth by the end of the first lap. 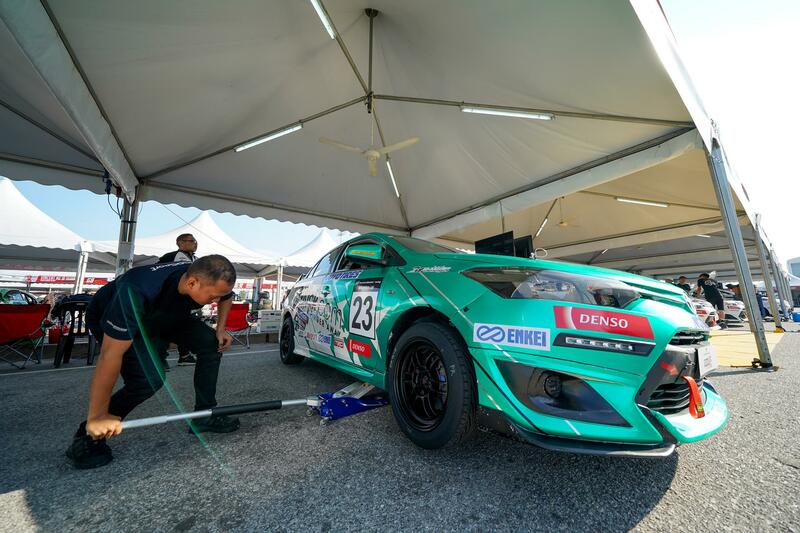 Experience though is the best teacher and with the more seasoned drivers on his tail, he eventually succumbed to pressure and conceded two positions to Brendon Lim and Kenneth Koh to finish in seventh. 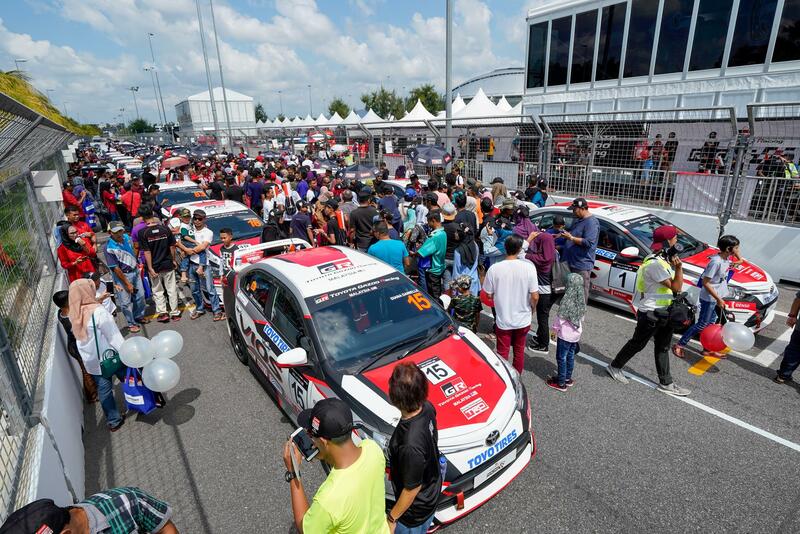 The amount of drama in Race 2 of the Promotional class was on par with the dramas that some of the celebrities starred in as the trio of newcomers; Akim Ahmad, Aiman Tino and Nabil Ahmad, stormed to victory in a race filled with overtaking and contact. 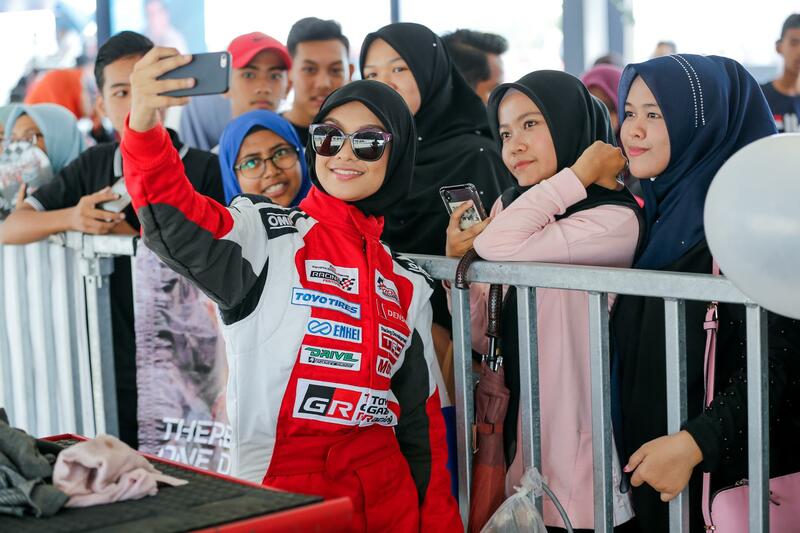 Singer Wany Hasrita found herself in pole with the reverse grid from Race 1 but she failed to capitalise on it by stalling at the start. 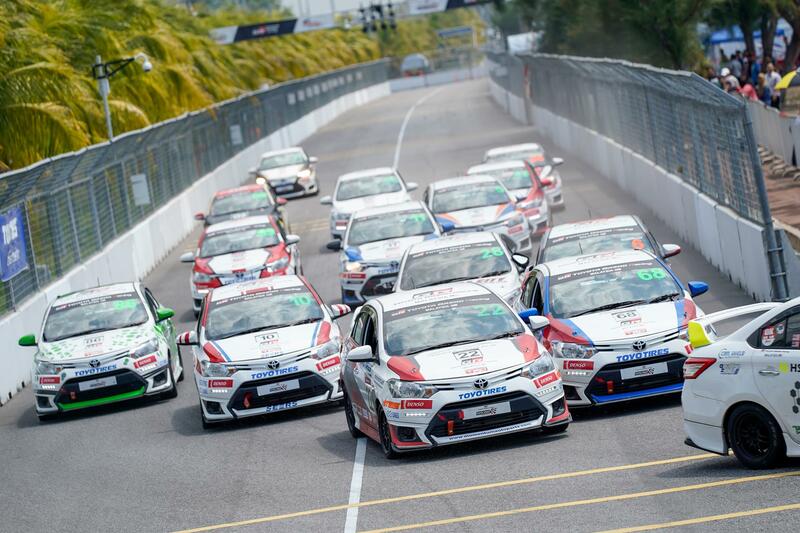 That brought out some evasive maneuvers from the rest of the grid to avoid her and allowed UMW Toyota Motor Sdn Bhd deputy chairman Akio Takeyama to jump into the lead with Akim Ahmad on his tail. Akim’s pace was overwhelming and he overtook Takeyama at the last corner of the first lap and gapped the chasing pack by 24-seconds to the finish. The action was for second between Nabil and Aiman. 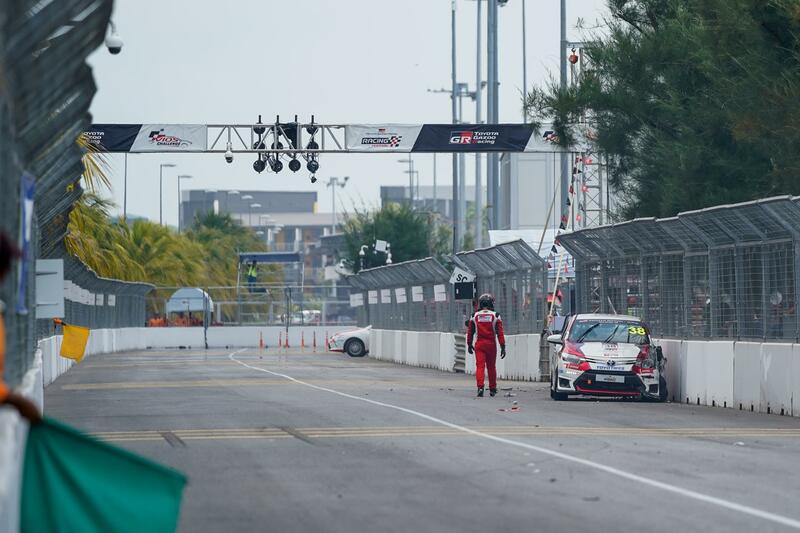 Nonetheless, Aiman clearly possessed a quicker pace and eventually squeezed his way past Nabil into second on the ninth lap and proceeded to set his crosshairs on Akim. Aiman’s speed, consistency and his ability to keep a level head saw the singer chiseling away at the gap of more than 15-seconds to Akim down to just 1.7-seconds by the finish. 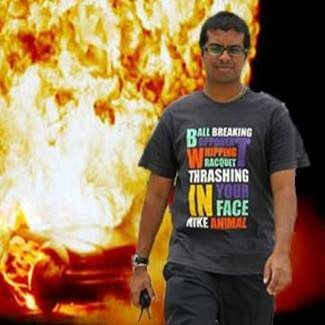 In the process, he also set the fastest lap of the race at 1:19.726 seconds. 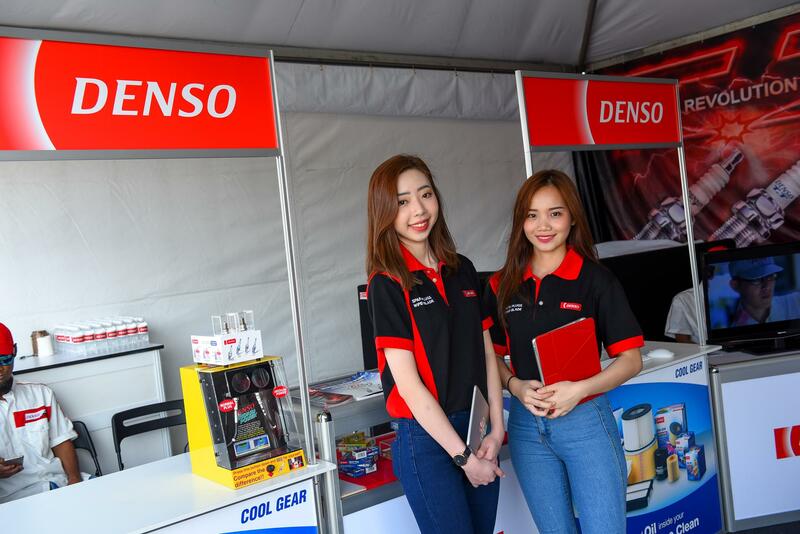 With the east coast done and dusted, the TGR festival returns to the Klang Valley with, specifically the Malaysia Agro Exposition Park Serdang (MAEPS) in Serdang, Selangor in October. 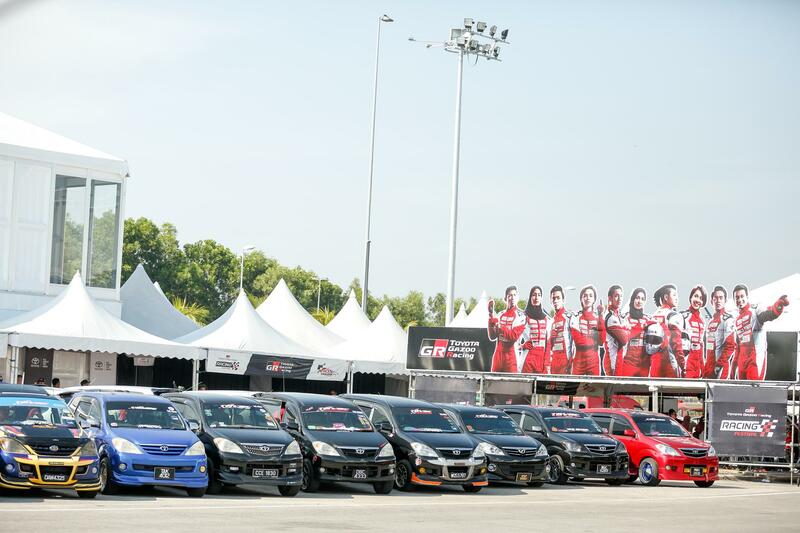 Round 3 will be at the Batu Kawan Stadium in Penang in February 2019 before the season concludes at the Sepang International Circuit in April 2019.